Join the Buckeyes at our Buckeye Academy Day Camps! We offer two age groups: Scarlet (grades 8 – 12) and Gray (grades 5 – 8). Both groups run concurrently. 8th graders may choose the Scarlet sessions or the Gray sessions based on their competition level. The Scarlet sessions are intended for more competitive players. Get ready to experience three days of fun with Ohio State Women’s Volleyball! Come learn serving and passing progressions and training techniques used by the Buckeyes to improve two of the most important skills of Volleyball. We will train basic serving concepts to help with consistency as well as techniques that are more advanced to help progress your serving game to the next level. We will also learn some of the passing staples in the Buckeye training gym to improve serve receive performance versus a variety of serve types. Setting & Hitting | June 4th | 1:30-4 p.m. This camp is for any athlete looking to improve setting and attacking skills. We will train footwork for serve receive and transition setting as well as body position and delivery to each attacking position along the net. We will spend time on every aspect of attacking from the foundation of your approach to detailed arm swing training. 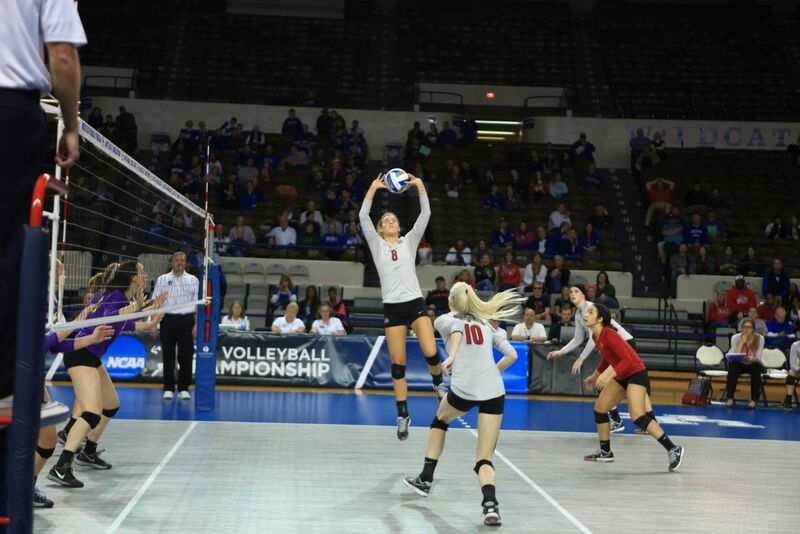 We will progress to attacking from different positions on the court and hitting different tempos from setters. Tailored to players that want to improve their serving and defensive skills. We will train serving techniques to help improve your consistency and control. You will get extensive instruction to improve your defensive game and we will train body position and digging technique while focusing on defensive mentality. Hitting & Blocking | June 5th | 1:30-4 p.m. This camp will use drills to help build a good foundation for hitting and blocking. Approach and footwork drills will help increase explosiveness to the ball as both an attacker and blocker. You will spend time doing arm swing drills to improve your offensive IQ as well as arm work as blockers to maximize your jumping ability and hand positioning over the net. This camp will take the defensive techniques and concepts we train and transfer them into competitive game play. We will not only improve your defensive skills, but will also work to improve your communication and competitiveness. Competitive Games for Offense | June 6th | 1:30-4 p.m. This camp will transfer the skill instruction and techniques trained to offense to game play. We will work to improve your offensive skills in game situations focusing on terminating and making smart decisions in the appropriate moment. The registration fee for an individual camp session is $70. The registration fee for one full day is $130. The registration fee for all 3 full days is $360. The Scarlet Camp Sessions are open to any and all girls in grades 8 – 12 as of Fall of 2018. The Gray Camp Sessions are open to any and all girls in grades 5 – 8 as of Fall of 2018. The camp fees include instruction and a camp T-shirt (one per camper, per summer). Full payment is required at the time of online registration. You may register online by visiting OhioStateBuckeyes.com/camps. A 3% processing fee will be added to all online registrations. If registering by mail, please make your check payable to The Ohio State University. Any non-scholastic group of 5 or more that wishes to pay with one check for the entire group must do so ahead of time via mail. Any non-scholastic organization with a group of 5 or more registering the day of the camp must pay with credit card, cash, or money order. No exceptions will be made. No meals will be provided. Campers should bring a packed lunch if attending a full day session or the Buckeye Academy. The Summer Camps are day camps only and no overnight accommodations will be provided. Campers are responsible for providing their own overnight accommodations if needed. Hotel information can be provided upon request.